How much time do you put into the headlines of your content? 30 minutes? 10 minutes? Less than two minutes? For most of us, it’s probably far too little. Especially if you were to ask the opinion of an old-school copywriter. Many of them would recommend spending half of your writing time on the headline. So if you’re an average blogger, who spends three hours and 16 minutes on each post, that would mean spending one hour and thirty-eight minutes on the headline. I mean, why would anybody spend that much time on a headline? It’s only a couple of words! Um… no. Your headline is not just a couple of words. It’s the lynchpin of attention. Botch it, and almost nobody will read your post. Or your ebook. Or whatever content format you’ve got. Would you like to get 36-59 times more views for each of your content pieces? I thought so. And while we cannot promise you’ll get that kind of results every time, I think most of us would probably be pretty happy with even a tenth of that – just 3.6 to 5.9 times more views. If only, right? 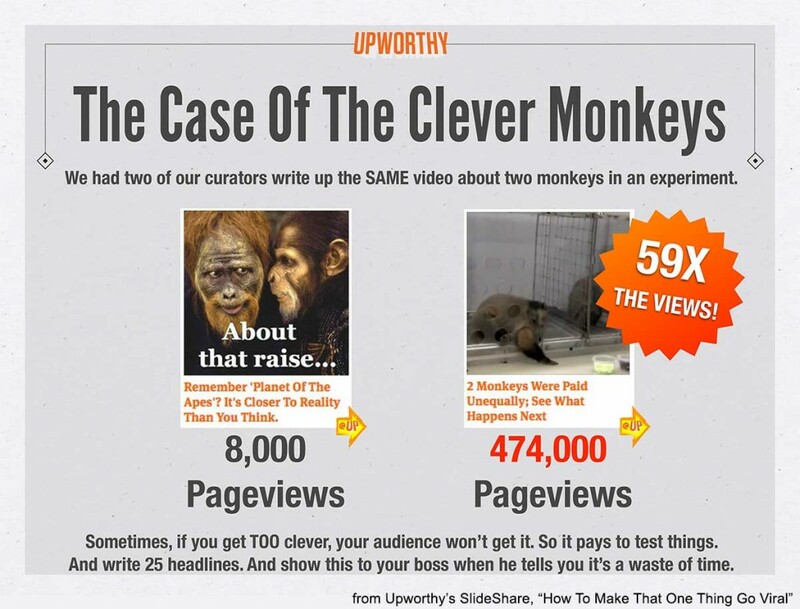 Upworthy would have you write 25 headlines for every blog post. If they were in the ebook or webinar business, their editors would probably make you write even more for big ticket content pieces. If this seems like a lot, take heart. It does takes some work to write 25 headlines, but not as much as you think. And it absolutely does work. There’s something about just forcing yourself to write 25 different variations… at one point or another (usually around the high teens for me), you’ll hit upon a new angle, and generate a sparklingly-awesome headline. How to Write Better Headlines, and Why You Should. Headlines Matter. Here’s How to Make Yours Better. 7 Easy Ways to Write Better Headlines. 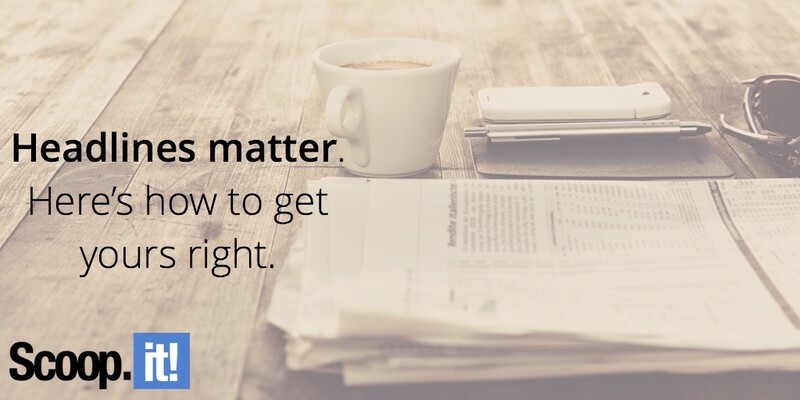 Why Headlines Are the Most Important Part of Your Content. Want More Shares? Write Better Headlines. Want Better Results From Your Content? Write Better Headlines. 5 Things Old School Copywriters Can Teach You About Headlines. Headlines: Get Them Right, or Go Home. Spend Just 10 Minutes Working On This One Part of Your Content – And Get Up to 59 Times More Shares. Want Your Next Post to Fail? Write a Rotten Headline. 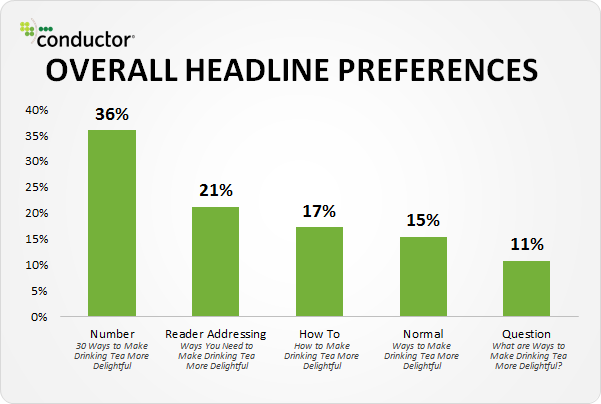 10 Data-Backed Ways to Write Better Headlines. Content Marketing Is Unfair – Headlines Are Too Powerful. Don’t Publish Anything Ever Again – Until You’ve Nailed the Headline. Why Headlines are a Force Multiplier For Everything You Publish. It All Comes Down to the Headline. 10 Sneaky Tricks To Write Radically Better Headlines. 10 Things Your Competitors Don’t Want You to Know About Headlines. Why Old-School Copywriters Used to Spend Half Their Writing Time on the Headline. Everything You Ever Wanted To Know About Headlines – But Had No Time to Ask. The Headline: Your Single Best Path to Making a Piece of Content Go Viral. 7 Reasons Why the Headline is the Most Important Part of Every Piece of Content. Want More Shares? Focus on This One Thing. Headlines Are the Secret Sauce of Content Virality. 80% of the People Who Share Your Content Won’t Read Past the Headline. Headlines Make the Difference Between Success and Failure. There. All those headlines took a full nine minutes to write. I’m a little worn after writing them, but it took me less than 10 minutes. And there are some good ideas in there. A couple of dogs, too, but that’s fine. The idea is really more to just crash through and generate a big list – like headline brainstorming – than to fuss over each word. There’ll be time for fussing later. Articles or posts with numbers are, of course, known as “listicles”. They’re frowned upon in journalism and literary circles… but listicles are the bread and butter of the internet. They get shared far more than other article formats. In a study from Conductor, headlines with numbers got more shares than any other attribute. There is also research from Noah Kagan that shows list posts beat all other factors. He specifically recommends the use of the number 10 – as in “10 Ways to Write Better Headlines”. “…try using words that are like a thorn bush. Words that are there to cling to you to catch you. To make you uncomfortable. To make you notice them not to confuse you, by catching you by being strangely confusing so that you can’t make sense of it, but words that you didn’t expect to see. In addition to the sticky, thorn bush words, there are also “power words” or “magnet words” known to all good copywriters. Words like “Best” and “Free” and “You” and “Because”. Buffer has put together a nice list of them. Want to know the all-time most powerful power word? I’d argue it’s “you”. But even if you don’t use the word “you”, it’s critical to make it all about them. In other words, write reader-focused headlines. Make sure every headline obeys the law of “What’s in it for me?” Because that’s where your readers’ heads are at. They cross paths with over a hundred different headlines a day – and probably more. Your little lone piece of content has to compete with all that, so it had better be laser-focused on your audience’s #1 priority: themselves. Ever heard of a “swipe file”? It’s another tool the old-school copywriters and journalists and editors used. A swipe file is basically a collection of other peoples’ work – and really great work, at that. It’s basically a resource to steal from. Some people still use swipe files, but we’ve got a bunch of content tools that make it even easier to save things. Or you can just go analog, and write a list of headline constructions you particularly like. BuzzSumo. It’ll show you the most-shared content for a website or for a keyword. Other industries or niches. Borrowing from outside your niche is a great way to bring a fresh take to your content. Writers you admire. Don’t steal their headlines verbatim, of course. But it’s okay to snitch elements of their best headlines and use them for your own. All those lists of “Our most popular posts of 2016” – or whatever year you like. Every one of those titles is a proven winner, so it’s worth your consideration. Reader comments, product and book reviews, and other user-generated content. Sometimes our audiences describe things in a way that is simply spot on. And because these moments of greatness are from your audience, if you use a phrase of theirs in a headline, it’s basically in your audience’s voice. Even with all the tools and resources and headline analyzers, every headline is still a guessing game. The smartest copywriting pros know their opinions about which headline is best are only that – opinions. The only real way to know is to test. There are quite a few ways to test headlines after they’ve been published. If your site’s on WordPress, Title Experiments Free or KingSumo Headlines can help. You can also run ads, and test different headlines either in pay per click ads, or with social media ads. Use your published content as the landing page. But what about the content you haven’t published yet. Is there a way to test that? Yes. You set up your ads, just like you were promoting an existing piece of content… but you use a different landing page – one that’s as close to your headline as possible. This does send traffic to a third party site. And if you attract the attention of an ad reviewer, and they realize you’re sending traffic to a page that isn’t on your site, they might disable your ad. In the ‘biz, this sort of advertising is known as a “dry test”. Dry tests are used to see if a product will sell before the product is actually created. It’s a little sneaky, but it can save tens of thousands of dollars in development. So think of this as basically a dry test for content. You’re testing whether there will be interest in this new content piece. And you’re testing which headline will get the most clicks. Writing better headlines is a skill you could study for the rest of your life… and still be learning more. But when you do come across another headline A/B split-test, or a headline study, or even a new headline analysis tool, be careful. Understand how much guess work is involved. The real reason some headlines get so much response is based in human psychology. That’s a tricky thing to predict. Take all the research and all the technology with a grain of salt. There’s a lot of science behind a viral headline… but also a lot of luck. Do you have any tricks for writing better headlines? Share one in the comments.